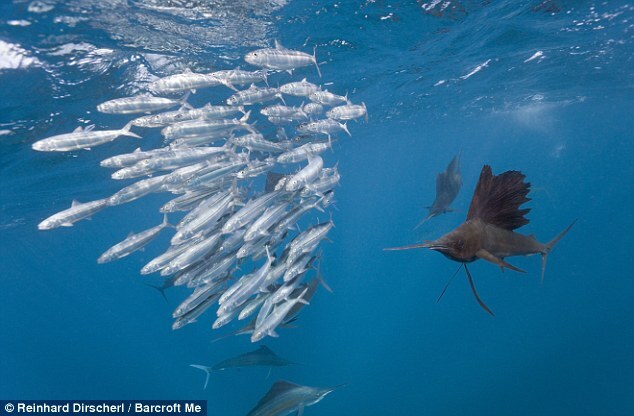 Have you seen these amazing Atlantic Sailfish photos taken of the coast of Mexico by German photographer Reinhard Dirscherl? 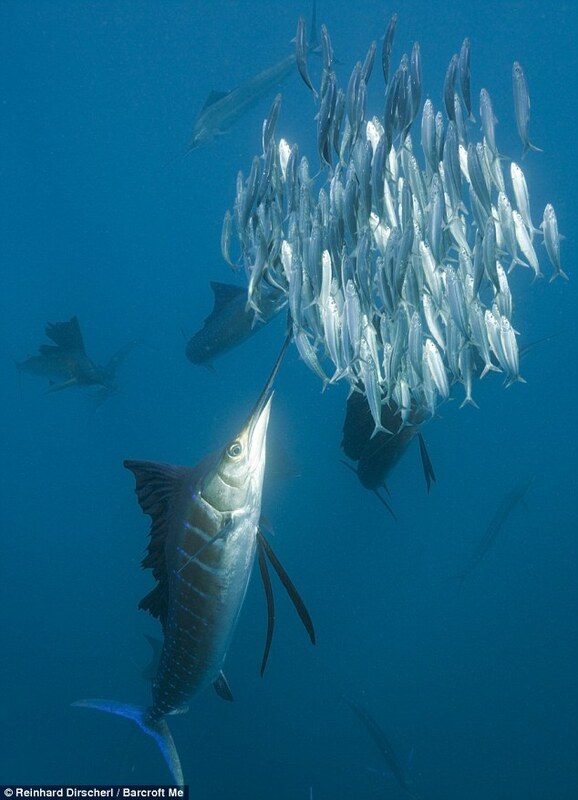 These fantastic fish photos show Atlantic Sailfish in large groups darting in and out of schools of their favourite prey, sardines. You can see more of these great Mexican Atlantic Sailfish photos here.